Brick Lane is known as London’s ‘Curry Mile’ for its fantastic Indian cuisine, but the East London hotspot has plenty more to offer foodies. 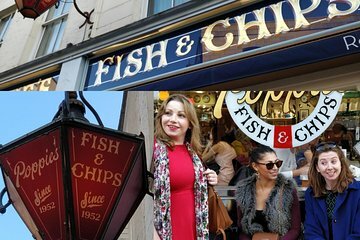 This walking tour will give you a local’s view of the best places to eat around Brick Lane, as you tuck into an array of delicious foods from fragrant curries and classic fish and chips, to fresh bagels and artisan chocolates. We were actually on the Borough Market tour instead of the Brick Lane tour because we were advised that it would be better as a New Year's Eve day tour and they were right. This market is a magical place and Beatrice is amazing!